Finally, God told Jacob to return to his relatives back in Canaan, promising His presence and kindness. Jacob gathered his wives, children, servants, and flocks, and began the long trip home. Toward the end of their journey, at night and alone, Jacob was attacked by a man. The two wrestled all night. Jacob discovered that the man was none other than God, Himself, in human form, for He supernaturally put Jacob’s hip out of joint just by touching it. This was the turning point—Jacob realized it was useless to struggle against Almighty God. Instead, he became bold in faith, pleading for His blessing. The Man answered Jacob’s request by asking something He already knew—his name. By stating his name, Jacob both revealed and confessed his nature as a deceiver and yielded in reverence to Him. This was the radical life change Jacob needed to become the father of a great nation. The Man declared that his name would now be Israel, which means “God fights.” Because of the patriarch’s stubbornness and pride, God had chosen to fight against him. In love and mercy, God had met Jacob face to face without destroying him, and Jacob recognized this (Genesis 32:30). Now God would fight for Israel, the person and the nation, and would overcome their enemies as long as they honored and obeyed Him. Like Jacob, we need to recognize that our self-sufficiency, pride, and other destructive traits are incompatible with the work of God. God wants our total allegiance, and just as He chose Jacob, He lovingly chooses to use us in His work. The apostle Paul declared, “We are asking that you may be filled with the knowledge of His will in all wisdom and spiritual understanding, so that you may walk worthy of the Lord, fully pleasing to Him, bearing fruit in every good work and growing in the knowledge of God.” (Colossians 1:9b, 10). Do those we live and work with see our love for people because of our God? Do they witness our joy in knowing Him? What we say about our Lord will have little impact if we don’t show a caring spirit. And people admire Christians who display joy, especially through difficulties. 1) Am I fitting into God’s plan? 2) What are my longings? Mr. Lucado explains: “When we submit to God’s plans, we can trust our desires. Our assignment is found at the intersection of God’s plan and our pleasures. What do you love to do? What brings you joy? What gives you a sense of satisfaction?” 4 He adds that we should consider our skills along with our desires, thus moving us on to the third question. 3) What are my abilities? 4) Am I serving God now? These four questions form an acrostic: the first letter of the last word of each spells PLAN. Mr. Lucado adds, “God allows you to start fresh at any point in life . . .
It’s time to stand out as followers of Christ. To put Him first in our finances, activities, relationships, in every area of our lives. To determine what He is calling us to do with our lives now. To find our joy and strength in Jesus, not in people or accomplishments. To make needed changes in our lives with God’s help. When have we been most on fire for the Lord? What do we need to fuel that fire again? Let’s not wait for God to give us new names. Let’s choose to burn brighter now! 1 Max Lucado, Just Like Jesus, Copyright (Thomas Nelson, 1998), 92. 5 Ibid, pp. 96, 97. 6 Ibid, pp. 97, 98. ReIgnite, an online course with videos, worksheets, and Bible-based studies. From the Billy Graham Evangelistic Association. ReIgnite will encourage you to reignite your passion for evangelism and will train you to share Jesus with others. People Sharing Jesus: A Natural, Sensitive Approach to Helping Others Know Christ, by Darrell W. Robinson. This is a book that includes inspiring stories and reality-based techniques on sharing Jesus with others. I Am Second “is a movement meant to inspire people of all kinds to live for God and for others. . . . it is designed to help people discover their purpose in life.” Includes videos/films, questions to guide discussion, available online chat and blog, e-mail, phone contact. More from Max Lucado is available at www.maxlucado.com. Featured Image: A mighty flame followeth a tiny spark. Most congregants don’t realize the preparation that goes into a solid expository sermon. A common sigh among those in the fulltime teaching ministry – those who are faithful to prepare expository sermons – is how little time is left over for the variegated pastoral responsibilities clamoring for attention. From counseling to corresponding, premarital sessions to divorce prevention, from house visits to hospital visits, from baptism to burials, the pastor is present in every facet of life from the cradle to the grave. What an honor. What a joy. And what a load to bear. Somewhere in this milieu time must be carved out for preparation and teaching Bible studies, home groups, men’s breakfasts, elders’ meetings, classes and courses, and let’s not forget the central expectation that comes inevitably every week, in some cases twice a week: the Sunday sermons. That is before any personal time (what’s that) which most people enjoy. Exercise habits, a healthy sleep quota, hobbies, entertainment, family time? What do you think is the first to get bumped when someone calls in tears asking for a visit? It’s not the ministry that can be batted to leg, it’s items on the personal time list that are expected to be expendable. Think about when people can meet for the counseling they desperately need: at night. Think of when people get married: Saturdays. Think of when people die: unscheduled! I’m not whining by the way. I love a career that is spent in the eternal work. I thrive on knowing what I’m doing has value in the lives of people I love and will leave echoes in eternity. Vets don’t complain about being surrounded by animal smells all day, and pastors don’t bat an eye at being inundated with people’s problems all week. I’m just pointing out that if your pastor hasn’t invited you to coffee lately, it probably isn’t because he’s chilling at the beach all week working on his tan. Sometimes a pastor has to say no to a plethora of good duties in order to make time for the better tasks. Jesus told Martha that her sister Mary was not being a slacker by opting for the one necessary thing. It’s not that Martha’s service and hospitality was wicked or futile. It was a good deed through and through. But it wasn’t the best choice at that moment. Sometimes the best example your pastor can be to you is to say no to seeing you because he has more pressing duties to attend to. On occasion, depending on how appointment heavy his week has been, that “more pressing duty” may simply be keeping his derrière in the chair and his nose in the books to prepare for the Sunday sermon. The sermon is potentially the most effective moment of the pastor’s week; he needs to be prepared for it. To have the entire flock sitting expectantly for a word from the Lord, insights deeper than those their study Bible’s supply, and application more relevant than the Dr. Phil show, is an intimidating thought. Pastors live under the whip of their flock’s expectations, their own goals of productivity, and their Lord’s standard of excellence. And the thing about Sunday is that it is at most one week away, and coming closer. And it never stops coming. Unfortunately some folks don’t recognize this. If people don’t see the pastor in their lives, they assume he is “bookish” and unapproachable at best, lazy and unloving at worst. If you are a pastor, I can only encourage you with these three nuggets my mentor bolstered me with, “Remember . . .
What pastoral duties have I left out? What do you do the other 167 hours of the week? Get Rid of Your Crappy Pastor! I simply cannot count the number of complaints that I get to hear about other pastors. I’ve responded to such complaints in many ways over the years. I simply smile and nod, without actually agreeing — or conversely, the serious head shake. I’ve advised the individuals to go and talk to their pastor about their complaint. I’ve even tried to convince the complainer that their pastor really is pretty good. But enough of that. I know what most of these complainers want … they want to get rid of their crappy pastor. The sooner the better. And so, without further ado, six steps to get rid of your crappy pastor and get a better pastor in your congregation. 1) Pray for your crappy pastor. I know, you really don’t want to pray for your pastor right now, but give it a try. Pray for your pastor’s preaching, for your pastor’s life, even for your pastor’s family. Prayer was one of those things that Jesus was kind of big on, so go ahead and give it a try. 2) Make sure your crappy pastor takes a day off. Really, you don’t want your pastor doing all those things that annoy you any more than absolutely necessary. Make sure everyone knows when the pastor’s day off is, and then don’t call him on that day. If there is a congregational event, or an emergency, or a wedding, or a funeral on the normal day off, let it be known that your pastor will be taking another day off to make up for it. 3) Insist that your crappy pastor take every week of vacation in the contract. Many pastors leave unclaimed vacation days every year. Let’s face it – you don’t really want your pastor around anyway, so encourage him or her to take all of their allowed vacation. And make it an easy decision for your crappy pastor to leave town! Line up volunteers to take care of all the work around the congregation so the pastor doesn’t have to work extra hard before leaving and when coming home. Offer up your vacation home, or a gift card for a plane ticket out of town. Make sure everyone comes to worship, so the pastor doesn’t feel guilty about leaving for a Sunday. 4) Make sure your pastor goes to continuing education events. Speaking of getting your crappy pastor out of town, by contract your pastor probably has continuing education time. Make sure that your pastor is attending lots of events with exciting speakers, great preachers, and innovative thinkers. (You know, just so your pastor can see the ways in which he or she doesn’t measure up.) While you’re at it, go ahead and increase the continuing education budget – make sure there is no reason for your pastor not getting away from your congregation and going to these events. 5) Take over the tasks with which your pastor struggles. 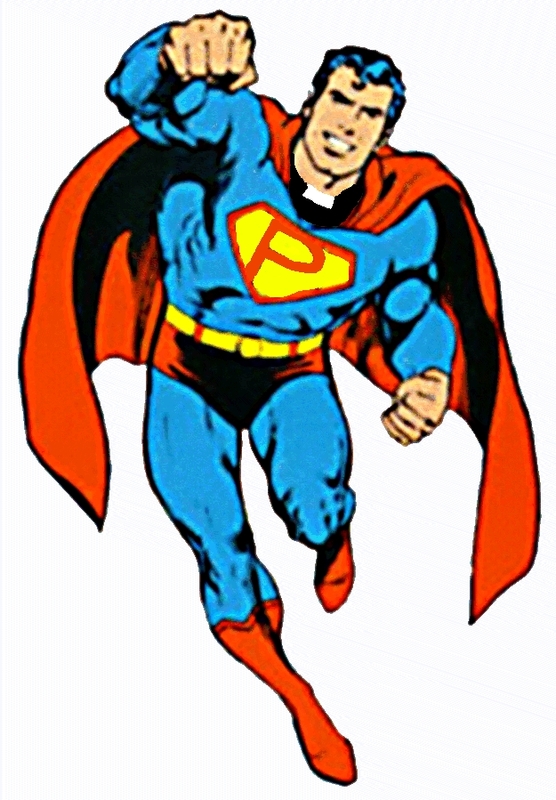 We all know that pastors should be good at everything in the parish – from administration to preaching, from visitation with the elderly to youth events. Chances are, your crappy pastor has some places where there are struggles. Hire an administrative assistant. Get the parents and other volunteers to coordinate and host the youth events. Get a group of volunteers together to visit with homebound members. There are all sorts of ways to make sure that your crappy pastor doesn’t mess up these tasks that he or she is already struggling with. 6) Encourage your pastor to spend more time in prayer and reading. Now that you have freed up your pastor from all those tasks that were the worst trouble points, there is all sorts of extra time. You don’t want him or her to jump right back into those tasks and mess them up do you? Encourage him or her to go and read, or spend time with other local pastors, or spend more time intentionally in prayer. There you go! It’s foolproof! If you do these six simple things, I guarantee you will get rid of your crappy pastor. Get your congregational leaders on board with this plan. Recruit the key people in the congregation to help you with it. Pray for your pastor, make sure your crappy pastor takes all of the allotted vacation and days off, send your pastor to amazing continuing education events, recruit volunteers (or hire other staff) to fill in your pastor’s weaknesses, and make sure your pastor is spending time praying, reading, and dreaming. Yup, that’s it. Do those things, and I guarantee you will stop complaining about your crappy pastor. You will hear better sermons. People will feel more ministered to. Exciting ideas will start to come from your council meetings. And all these things without having to go through the search process and hiring of a new pastor! Take these six steps, and watch your crappy pastor become the sort of pastor you have always wanted. Pastors are human too. That means, of course, that they sin, but it also means that they have ordinary human needs. While no one joins the ministry in order to receive riches or accolades, honor or power, while shepherds are called to serve others rather than themselves, such doesn’t mean that they are not given to discouragement. Most of us, most of the time, love our pastor, and are grateful for him. Few of us, however, understand that he needs encouragement. What even fewer of us grasp is how we can be an encouragement to him. Here are three simple ideas. First, pay attention to his labors. Though we do not have a duty to be at the church every time the doors are open, one thing that discourages pastors is our unwillingness to simply avail ourselves of his gifts. When the pastor labors in his study to prepare a Bible study lesson, or writes a blog post and the sheep under his care pay no attention, it is discouraging. It says to the pastor, “I do not value what you do for me and my family. Your efforts have no effect because I won’t even be bothered to read, or to listen. I will download the sermons of celebrities that don’t know me. I will read the wisdom of those with book contracts.” It’s not that your pastor is jealous of the gifts of others. It is instead that he is jealous for you and your growth in wisdom. A less gifted man who knows and loves you is far more potent in your life than a more gifted man far, far away. Second, speak well of him to others. When you speak well to the pastor, if he is prone to discouragement, it might not have the impact you wish it to have. Such kind words can easily be written off as kindness rather than gratitude, as flattery rather than sincerity. But if word comes back to him, and it will, that you have spoken well of him to others in the church, or even to those in your community, he will have to take your good word to heart. It might also encourage those with whom you speak to have a deeper appreciation for your pastor, and that’s usually a good thing. Of course the one you should be speaking to the most about your pastor is the Great Shepherd of the sheep. Pray with gratitude for the man Christ has given you, and the man will be encouraged. Third, pursue godliness. Because he loves you, what your pastor wants more than anything else is for you to grow in grace and wisdom, to become more like Jesus. What is most discouraging for him then isn’t how poorly he may be treated, how badly he may be honored, but how poorly his sheep are doing. He is encouraged most, however, when you are doing well. When he sees your wife’s beaming face, he knows it is because you are seeking to be a godly husband and father, and is encouraged. When he sees you turning the other cheek in your relationship with your pew neighbor, he is encouraged to know that the leaven of the kingdom is spreading among his flock. When he sees you visiting the widow and the orphan, he knows you are practicing true religion, and rejoices. Don’t, in short, tell your pastor how smart he is, nor how brilliant his sermons are. Don’t tell him how funny he is, nor how dignified. Show him how his labor in showing you Jesus is making you more like Him. That is the desire of his heart, because that is the desire of His heart.